Inmarsat, the world leader in global mobile satellite communications, has certified Vistair's Electronic Flight Bag (EFB) application, DocuNet™, for use on its SwiftBroadband-Safety (SB-S) digital aircraft operations platform. 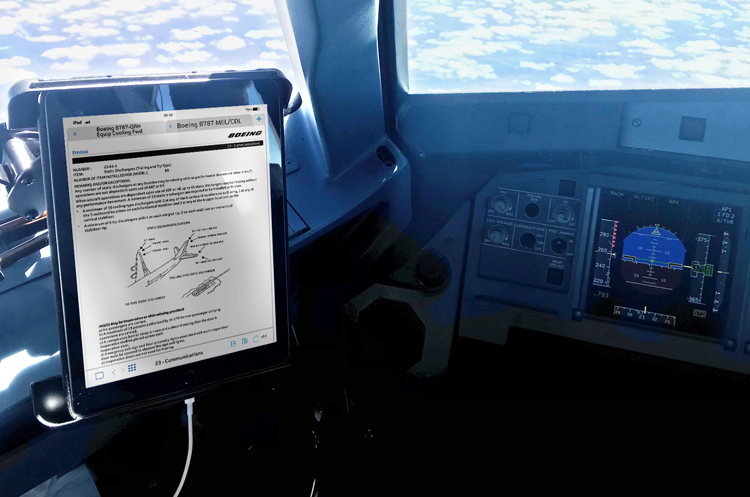 The application offers airlines a 'live' set of manuals that improve compliance, proficiency and safety. Airlines flying with Inmarsat SB-S can now utilise DocuNet, combined with Vistair's CrewNet application, to increase the delivery speed of high-reliance operational and mission-critical information to flight and cabin crews while in the air. By creating real-time manuals, which receive urgent updates as they happen, crews will experience minimum lag time between new information being published and their ability to make use of it. DocuNet is the first documentation management application to be certified through Inmarsat's Aviation Certified Application Provider (CAP) Programme, which provides airlines with a range of value-added operational and safety applications. Other CAP real-time applications available on the SB-S platform include flight profile optimisation, weather information, digital navigation charts and aircraft diagnostics and performance monitoring. All of the information is delivered in real-time, thanks to the high speed IP connectivity provided by Inmarsat's SB-S. In addition to diversifying the range of third-party applications available through SB-S, the world's first and only digital airline operations platform, the certifying of DocuNet builds upon the existing partnership between Inmarsat and Vistair. Ian Herbert, CEO, Vistair, said: "Inmarsat's reputation in the global satellite communication sector is second-to-none, and the CAP Programme not only reinforces their credentials in the aviation space but reaffirms their commitment to making commercial flight safer, more efficient and operationally effective. Supporting the SB-S platform provides Vistair with another means of supporting flight operation improvements and a channel through which innovation is certain to happen." John Broughton, Vice President, Safety and Operational Services at Inmarsat Aviation, said: "Vistair is a leader in the EFB world, already serving a customer base of more than 30 airlines globally with DocuNet alone. We have been working closely with them since the launch of our Aviation CAP Programme last year. The addition of this industry-leading solution to the SB-S platform reaffirms our commitment to offer airlines the highest quality applications to drive operational efficiency and enhance safety. 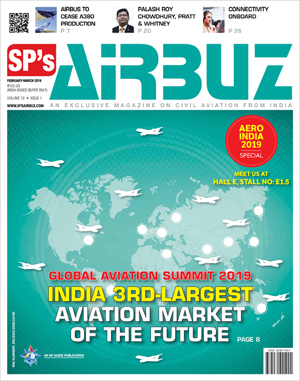 "It reinforces the fact that Inmarsat goes beyond connectivity to deliver a unique set of value-added solutions to support the needs of commercial airlines. With third-party applications tested, optimised and certified for use on SB-S via the Aviation CAP Programme, airlines can focus on the benefits of digitisation without having to worry about integration."